Properties in Wellington average 4.6 out of 5 stars. 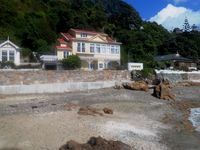 Property 6: RECENTLY RENOVATED PROPERTY RIGHT ON THE SAND! NEW DECK AND FREE WIFI! Property 11: Peaceful, sunny, furnished - everything you need. Property 12: ★ Family/Friends Getaway ★ Walk everywhere ★ Secure ★ BOOK NOW!!! Property 42: Spacious - Wonderful Views - Pony Experience Incl. 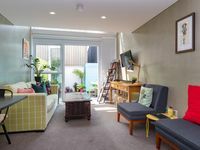 Property 47: Architecturally designed Studio apartment. The property is across the road from a little beach and the table and chairs outside the front door are a suntrap in the morning.